PFEIFFER, Ida. 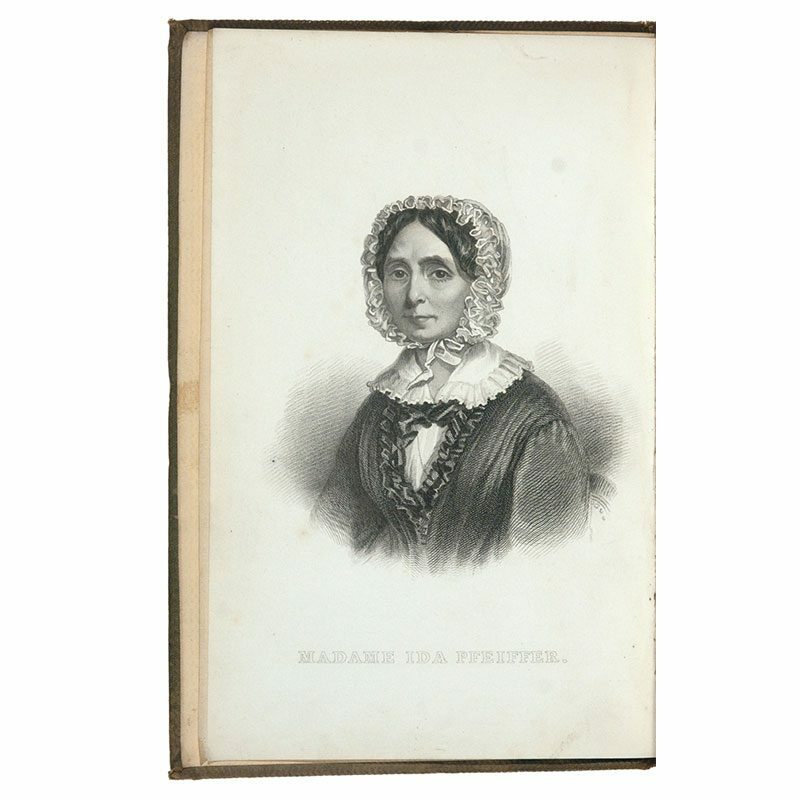 The last travels of Ida Pfeiffer: inclusive of a visit to Madagascar. With a biographical memoir of the author translated by H. W. Dulcken, Ph.D. London : Routledge, Warne, and Routledge, 1861 Cr.8vo. xliv,338pp. portrait frontispiece. Ida Laura Pfeiffer (1797 – 1858) was an Austrian traveller and author. Her 1857 visit to Madagascar was her last adventure. Spine a little darkened and rubbed at head, a very nice copy in the publisher’s olive-green blind-stamped cloth.